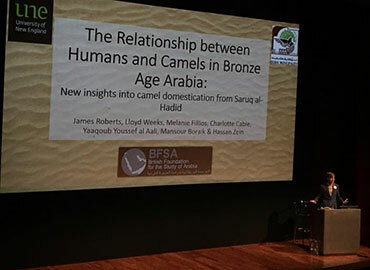 The 52nd Seminar for Arabian Studies (SAS), organized by the British Foundation for the Study of Arabia (BFSA) and supported by both the MBI Al Jaber Foundation and the British Museum, took place on Friday 3rd to Sunday 5th August. Approximately forty papers were presented at the three-day event, the only annual international forum for the presentation of the most up-to-date academic research on the Arabian Peninsula. The second day of the Seminar saw a session completely dedicated to Arabian Prehistory take place. This included papers on the Palaeolithic, the Neolithic and the Bronze Age. Other sessions covered a variety of subjects: Arabian languages, the Iron Age, Arabian Landscape and Early and Late Islamic Arabia. Papers presented in these sessions dealt with a number of different and interesting topics such as aerial archaeology, artistic contacts with the civilisations of the Indus and the incredible biodiversity of the island of Socotra. The event, held at the British Museum, attracted a large number of participants on each of the three days and presentations stimulated interesting and lively debate between speakers and the audience. 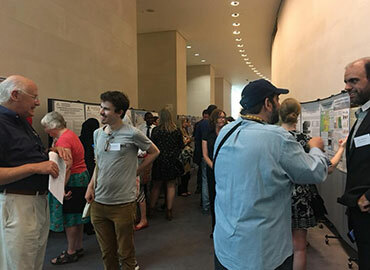 A large number of posters were also displayed during the Seminar and poster authors devoted some time to taking and answering questions from the audience. Many of the papers presented will be published in the next Proceedings of the Seminar for Arabian Studies (PSAS) which is published annually and before the subsequent Seminar. More details on the Proceedings can be found here. On the evening of Saturday 4th August, the MBI Al Jaber Public Lecture was attended by an audience of approximately 250 people. The lecture was entitled ‘Neither the Desert Nor the Sown: the Towns of the Arabian Gulf from the 18th to the 20th Century AD’ and was delivered by Professor Robert Carter of UCL Qatar. An account of Professor Carter’s talk is given here.